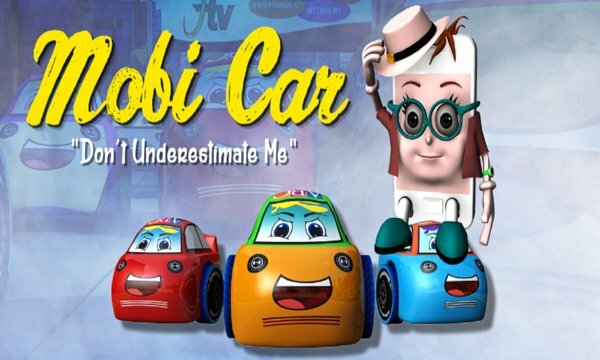 The official MOBI CAR® game on mobile now launched! Yes, here is an advancement in the world of mobile games. 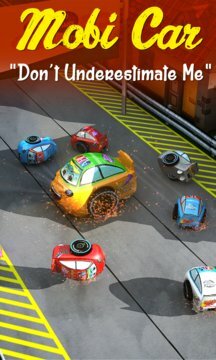 This unique and eye catching 3D game actually deserves a mind blowing appreciation because little children need some exciting, funky and full of colors dynamic display games all over the world. Mobi Car 3D Game is a Christmas gift for kids. A dream becomes reality. Mr. Mobi dreams about his toy car coming to a racing track and competing with all other dashing and powerful cars. Racing for dominance in an extreme and fun way begins here. Experience the excitement, competition and glory of authentic racing with Mobi Car. Build your dream ride with customization. Best in all thunder and turbo cars games , a pixer Mobi Car gives great fun with sansational experience of sports race. It is your showtime accept the challenge, you need to become the champion of race 2015, so speed up like in police chase game to the crew. Mobi car is the best pixer game due to consisting vivid 3D environments with real roads in car racing. Get ready for a thunder race by picking best turbo cars. High-Speed pixer game in all best arcade racing game with real physics stunts better all motorcycle racing or bike racing and car racing. • Save fuel by drafting to reach the pit stop and refuel. • Level up by reaching over specific distance.